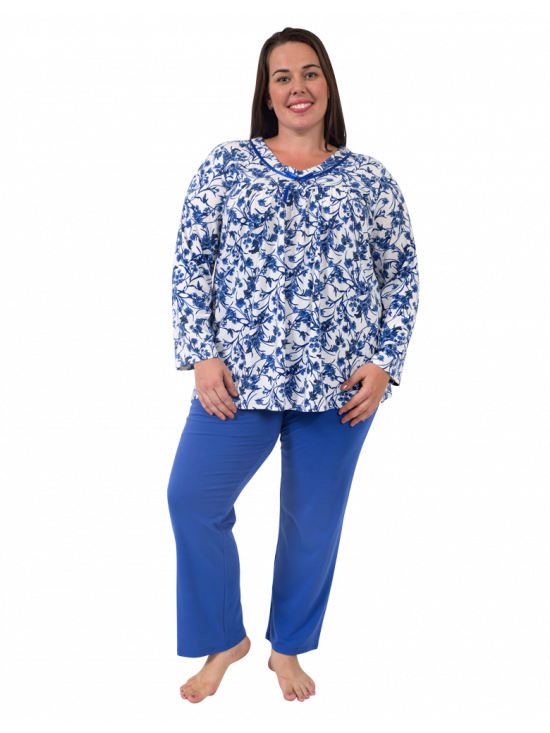 Soft and gorgeous blue floral print A-line PJ top has v-neck with beautiful contrasting ribbon detail at the neck, side seam splits for extra comfort around the tummy and hip area. 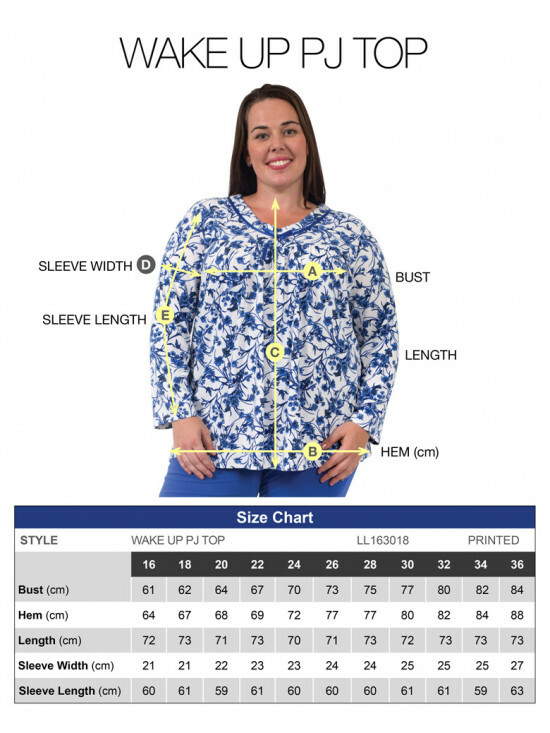 Also features gathered front yoke and full-length straight sleeves for warmth and a comfortable fit. 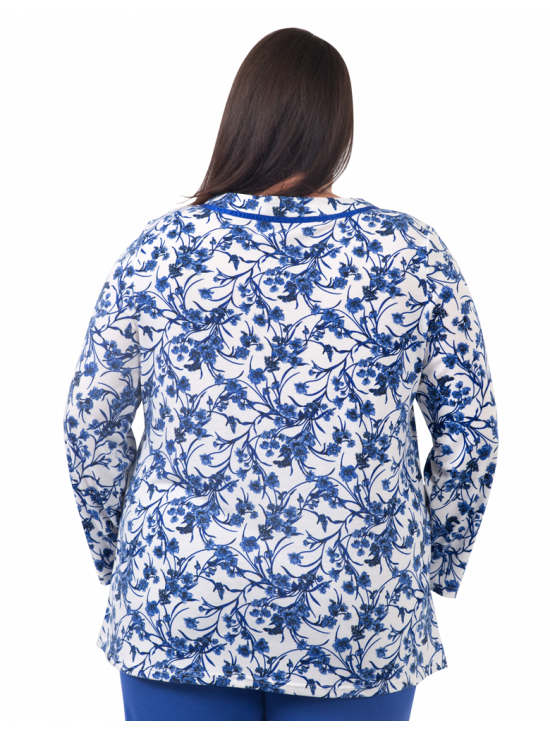 Teams perfectly with our matching blue Wake Up PJ Bottoms for a comfy night's sleep.